We’ll be guiding you through robotic vacuum cleaner reviews and the benefits of owning a cleaner that works independently to keep your floors always looking their best. Similar to standard vacuum cleaners i.e. canisters, uprights, handhelds etc, a robot vacuum is designed for a specific purpose- to clean your floors without your help or control. The future is here and robot vacuums are packed with the most advanced cleaning technology including navigational capabilities to avoid obstacles and falling off the edge of stairs. 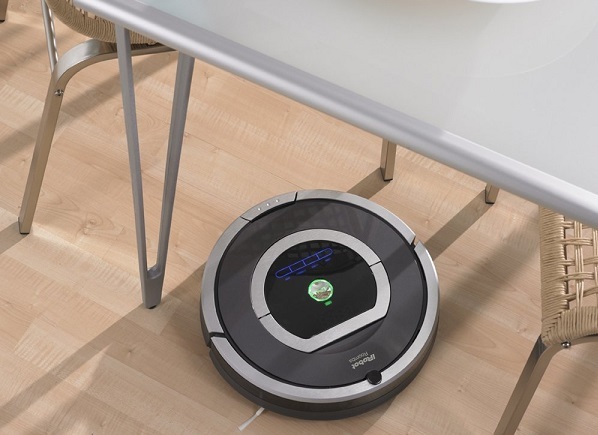 A robotic cleaner can map out the surrounding area to determine the optimal cleaning route and always know where it is in relation to its charging base. Portable vacuums are designed in either circular or D shapes and can clean multiple floor types such as carpets, wooden floor, laminate, tiles etc. Dirt is collected into the bin housed within the machine. 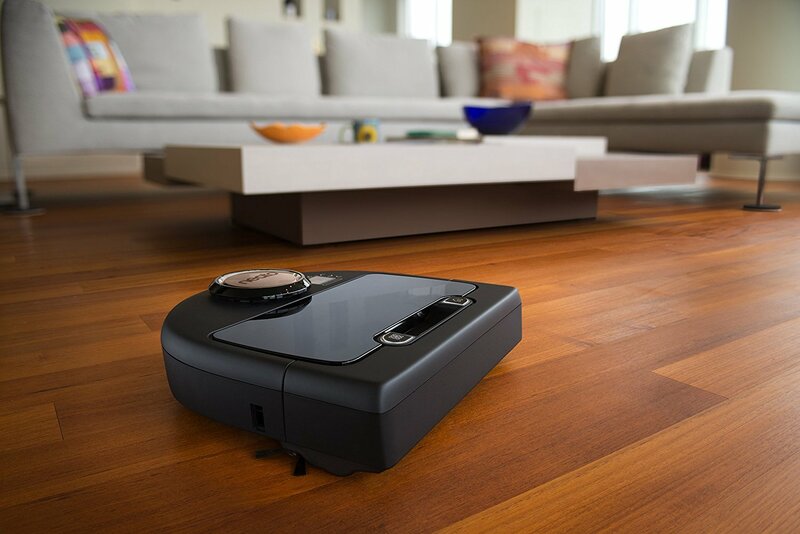 Robot vacuums run on batteries with various running times that ranges between 45 minutes to 1 hour 30 minutes. When the robot is finished cleaning, you can place it into it charging station but recent improvements mean that the robot can find its own way back to the charging port once tasks are completed or if it detects low battery power. 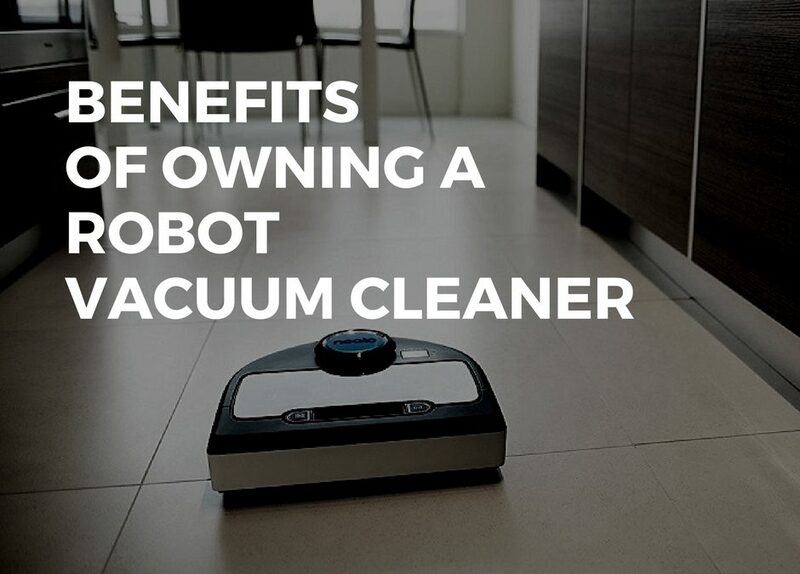 Some people would argue that robotic vacuums cannot replace a full-sized vacuum cleaner. A robot is limited to open spaces and areas on a single level. Sorry if I’m stating the obviously but it cannot vacuum stairs, ceilings, chandeliers, window frames etc. However, a robot can regularly maintain clean floors for the majority of the house to save you time on daily vacuuming that can be performed whilst you’re at work or away from the house. How does a Robotic Vacuum Work? Robotic vacuum cleaners are controlled by drive wheels on both ends of the unit and a few supporting driverless wheels. Built-in sensors scan the surrounding area for obstructions, edges and measure distance. Similar to bigger vacuum cleaners, robots use a motor to create suction. 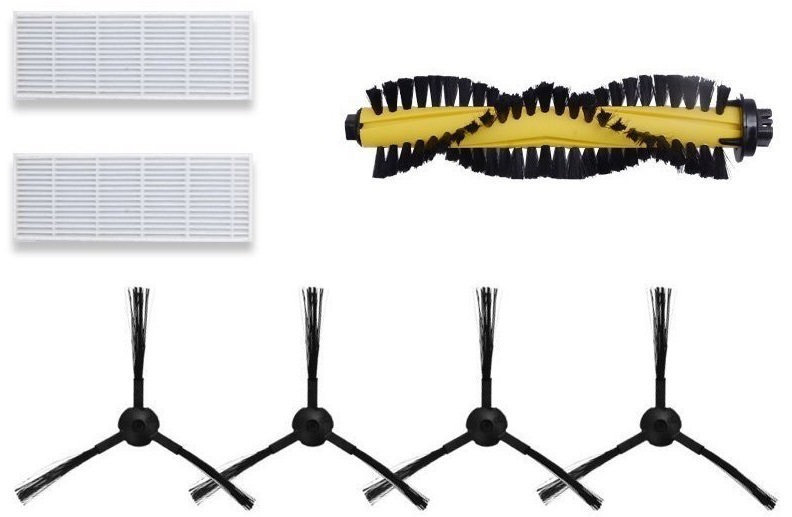 They are equipped with a wide roller brush and side brushes to gather debris that is then sucked through the air intake. The advantage of using a robot vacuum cleaner is that you don’t need to keep a watchful eye over it. 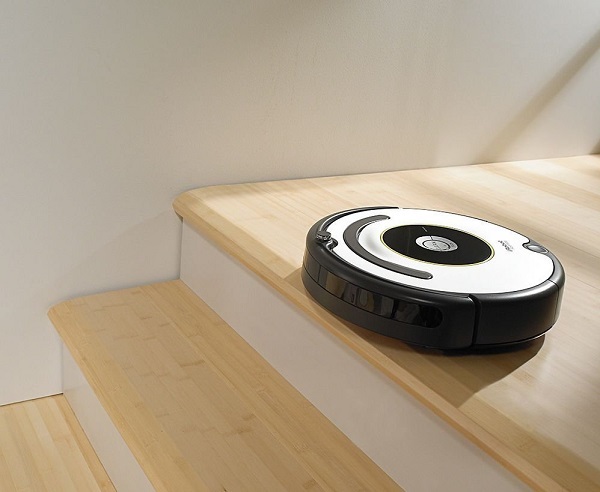 The robot will clean using specific cleaning patterns, for example, it can be programmed to follow a circular or zig-zag pattern depending on the layout of the room. The navigation technique depends on how sophisticated the sensors are. 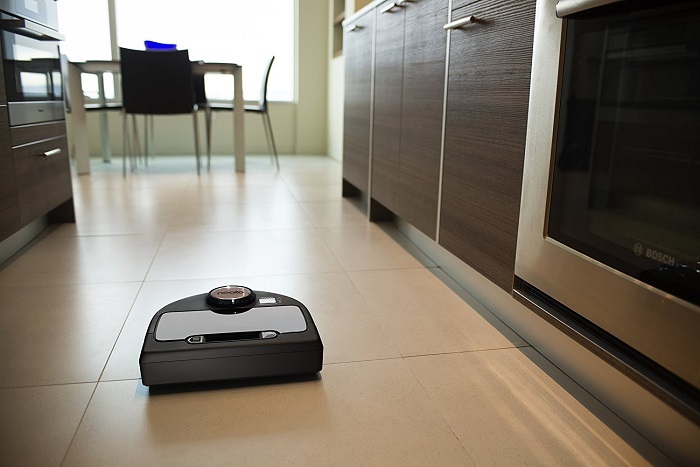 Improvement in sensor technology has seen robot vacuums becoming more efficient at detecting optimum routes and better avoidance of obstacles. 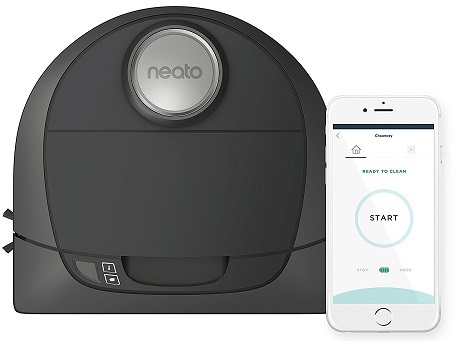 Premium brands such as Neato have equipped their range of Botvacs with laser mapping systems to scan the surrounding areas better and avoid confusing dark carpets with edges. 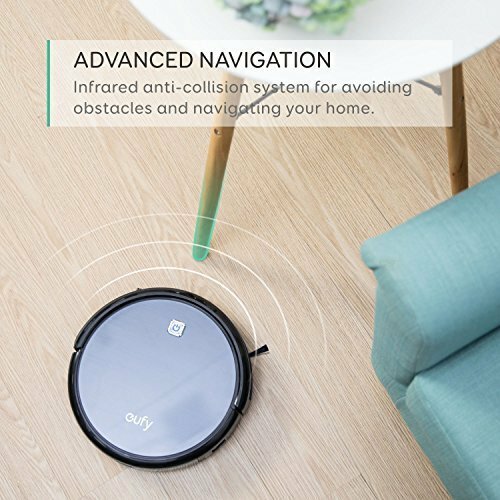 Ensure that you choose a robot vacuum with 360 cameras, laser mapping and GPS so you get the best route guidance. These same units can also find their way back to the charging station whereas inferior models will find their way back home by sheer luck. Avoid units with semi-random mapping and IR sensors- they move in a random inefficient pattern and often get lost. They cannot climb up or go down stairs. If your house is on more than one level you will have to move the robot between levels. 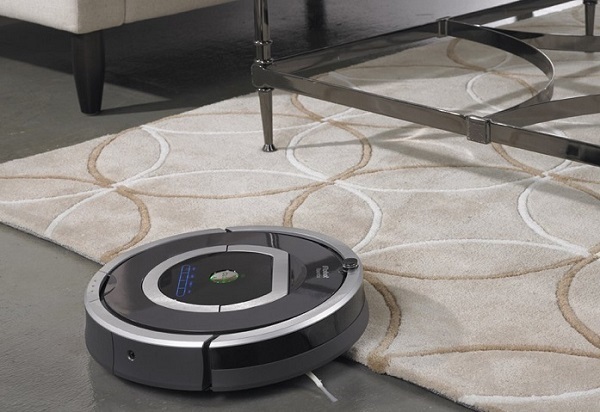 Some robot vacuums struggle to navigate on dark surfaces and can confuse them with edges. If they fail to accurately map out the area, robots can overlook cleaning parts of the house or get lost from their charging station. The Dirt bins are smaller than full-sized machines and require frequent emptying. Robot vacuums tend to get stuck between electric cables and wires. I would advise that you declutter the house and leave open spaces for the machine to roam freely. Shag rugs and shag carpets still prove to be a challenge for robot vacuum cleaners. 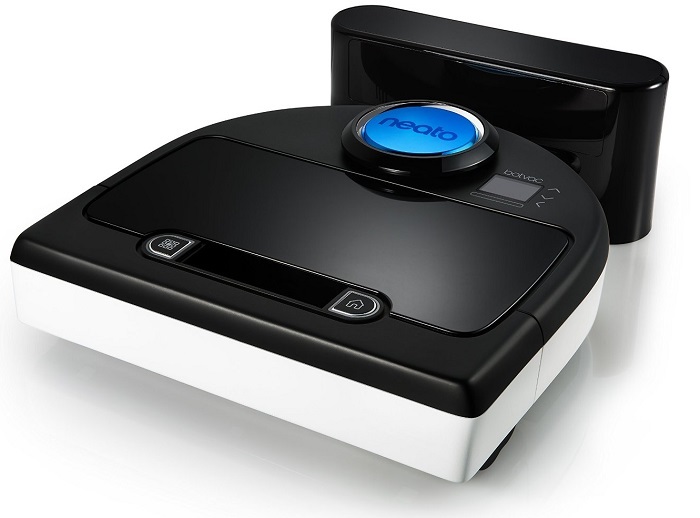 There has been a lot of debate surrounding robot vacuum cleaners and the advantages of owning one. #1. Some still think that robot technology is a fad that won’t last long term. But after testing some of the current models, it’s clear to see why we can benefit from using them. #2. A distinct advantage of using robot vacuum cleaner is that once setup it hardly requires your assistance except when it needs emptying. Convenience is the best part of owning a robot. #3. Most people don’t actually “enjoy” cleaning floors, and hiring a cleaner can be costly. #4. Robot vacuums can clean the majority of your house leaving only small areas that you might need to clean once a week saving you the time it takes to regularly clean floors. #5. People that suffer from health issues, such as joint or mobility problems and back pain, will hugely benefit from using a robot vacuum cleaner. Some people will purchase a robot vacuum out of curiosity or keep up with the latest technology. Either way, I highly recommend one as a good house cleaning investment. How Portable are Robot Vacuum Cleaners? Robot vacuums are housed in various designs but the majority are generally circular shaped. 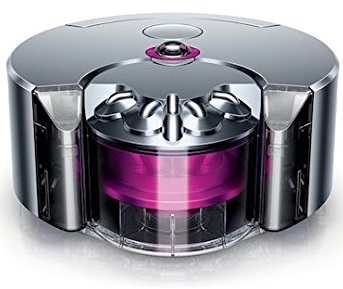 The 360 Eye robot vacuum, by Dyson, is one of the most portable cleaner currently available with a diameter of only 24 cm. You can expect to find a diameter of between 30 cm to 35 cm on most robotic cleaning machines, which is about the size of a ruler. More importantly than the diameter would be the height of the machine. A robot with a lower profile can move underneath furniture easier. The 360 Eye is 12.7 cm tall. This allows it to clean underneath furniture and sofas. Portable robot vacuums can get to hard to reach areas but the compromise is that they won’t house large bins compared to their bigger equivalents. Given the small size of robot vacuums, the suction power is less than a full sized vacuum cleaner. Generally you are looking for a machine with between 400 to 500 Pa. 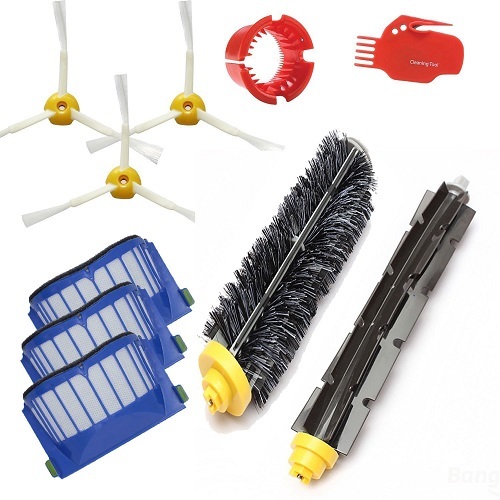 This level of air pressure is sufficient because the brush roll does most of the work by sweeping up dirt and directing it into the air intake. 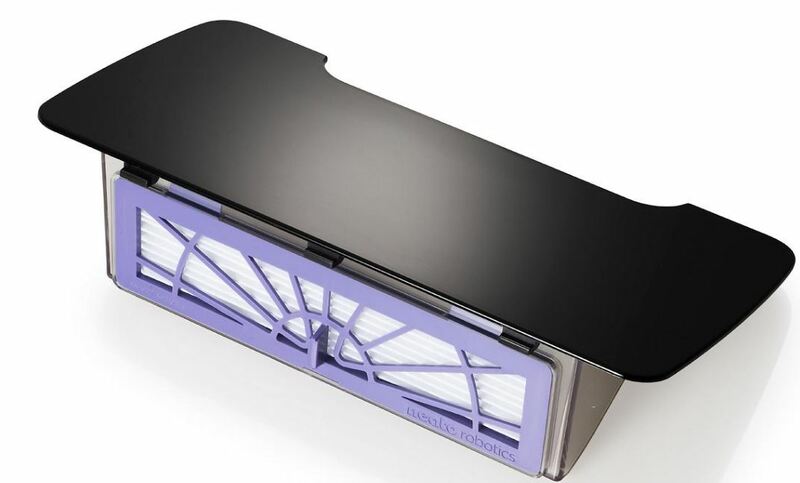 Robot vacuums without a brush roll are equipped with a stronger motor that delivers between 600-700 Pa of airflow. There’s no getting around this one. Robot vacuums are portable and as a result, their dirt bins are smaller in size when compared to a fully sized vacuum cleaner. On average, robot vacuum dirt bins can tuck away between 340- 400 litres of dirt before they need emptying. Continuous improvements are seeing manufacturers increasing bin sizes whilst maintaining a portable profile. Don’t be surprised if you find machines with bins packing over 400 grams of dirt. All robot vacuum cleaners are designed with bagless bins to maintain energy efficiency when pushing debris into the dirt bin. Surprisingly, manufacturers have not placed a lot of focus on filtration technology in robot vacuum cleaners. This is an area that has great potential. Some robots cost more than full-sized vacuums and consumers would most likely prefer them with HEPA filtration. 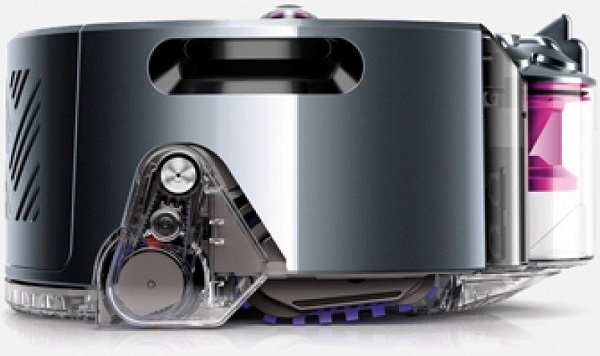 As mentioned earlier, robot vacuums are bagless due to size restrictions and efficiency. This means that the onboard filters must solely filter incoming air where a full sized vacuum cleaner would have the help of a HEPA filter. 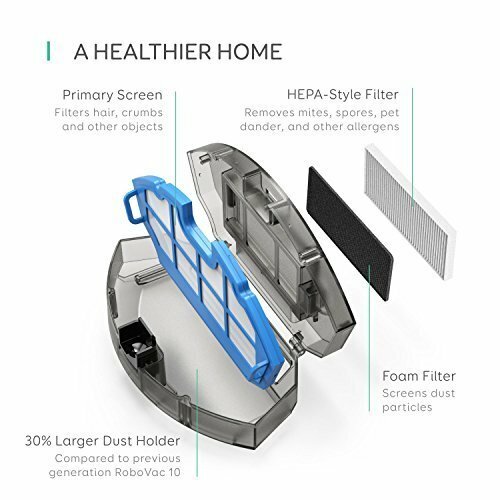 The majority of robot vacuum cleaners are equipped with one layer filters but we are starting to see newer models with additional HEPA filtration. Not all batteries are created equal. The quality of a robot vacuum’s battery is a crucial performance element. The best battery quality is currently Li-Ion. Robots equipped with Li-Ion batteries can operate between 2 – 2.5 hours depending on the motor’s power and a number of sensors built into the unit. Robots such as the Dyson 360 eye operate for only 40 minutes, even when using a Li-Ion battery and this is because it has the most powerful motor when compared to its rivals. Robots with Ni-Mh batteries don’t clean for as long but are cheaper to buy. Battery charging time also varies between units. Generally, it will take about 5 hours to fully recharge a standard robot whereas higher grade units can be fully charged in 3 hours. Nobody wants a noisy vacuum cleaner. Bigger motors will consequently produce more noise. Units that exceed 60 decibels are too loud. There’s a great choice of robot vacuums that operate under 50 decibels and produce excellent cleaning results. The original idea behind robot vacuums was that they would clean your floors for you whilst you do other things. Purchasing a quieter robot means that you can enjoy reading a book, watching a TV show, talking on the phone without the distraction of a noisy motor. 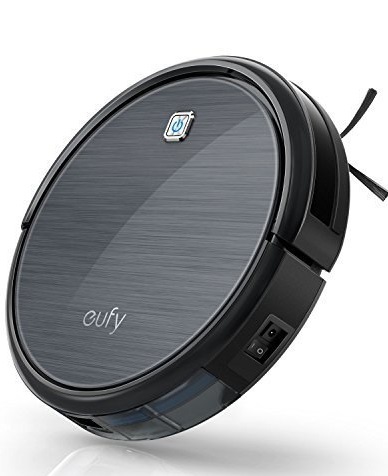 Obviously robot vacuum cleaners won’t come with accessories such as crevice tools and extension wands but that doesn’t mean they don’t require accessories. Virtual walls are a digital boundary that a robot vacuum cleaner won’t go beyond. They are particularly useful in a house with lots of corners and edges. You might also have rooms that you don’t want a robot to venture into, such as pet areas. You can never have too many filters, so any extras included are a bonus as well as additional side brushes. Certain machines come with a remote control, which is nice to have, but don’t pay over the odds for one because once the machine is programmed it requires very little control. You should also check if a storage bag is included for accessories and to store the robot when you are away for a long period. 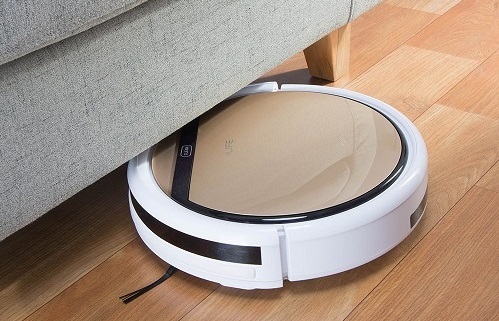 My last tip would be a robot vacuum with an onboard LCD display is much easier to program cleaning schedules. Honestly speaking, buying a robot vacuum cleaner can be a costly investment but they are plenty of choices and great bargains available. Generally, most buyers don’t want to spend more than $500 for one. The majority of people were happy to pay between $250-$400 but the great thing is that you can find popular machines that cost less than this. I would recommend looking through our list of the best robot vacuum cleaners to suit your budget and cleaning requirements. Manufacturers such as iLife are producing high-quality robot vacuums that cost considerably less than premium brands. These low-cost robots do not compromise cleaning performance and can go head to head with premium units to deliver equivalent results. It’s fair to say that robot vacuum cleaners are here to stay. Whether you choose to get one is down to personal preference. I prefer to have a combination of a robot vacuum, preprogrammed to clean daily whilst the family is out for the day, and a canister vacuum to address everything else such as above floor cleaning and nooks and crannies, that need doing less frequently. Overall I think getting a robot vacuum is a worthwhile addition to any household as it cuts down cleaning times. Are you considering getting a robot or do you already own one? Please leave your thoughts in the comments section below. I’d love to hear from you. These robotic vacuum devices seems too good to be true. I really like how it’s preprogrammed and can do our vacuum works (though just for the floors). I also love these new technology that’s very cool to have lol! But I’m quite sceptical over how good it is when vacuuming carpets. Will it be able to do that Cheryl? Hi Isaac, when I first heard about robot vacuum cleaners I wasn’t convinced that they could clean just as good as a full sized upright or canister. All I can say is try one out and you’ll soon be converted.